A cozy fire burning in the hearth, carols tinkling in the background, a glass of spiked eggnog in your bellies...what could be more romantic than finding yourself underneath a sprig of mistletoe hung in the archway with a sweetie, right? That is, if you don't mind kissing under a parasite. Viscum album, the European mistletoe is a parasite of more than 200 different trees and shrubs. It is hemiparasitic in that it still possesses chlorophyll but relies on its host plant for both water and other nutrients. Birds eat the juicy berries and then the seeds pass out in their feces and stick to the branch that they happen to land on, where they will germinate and set up a new parasitic plant. 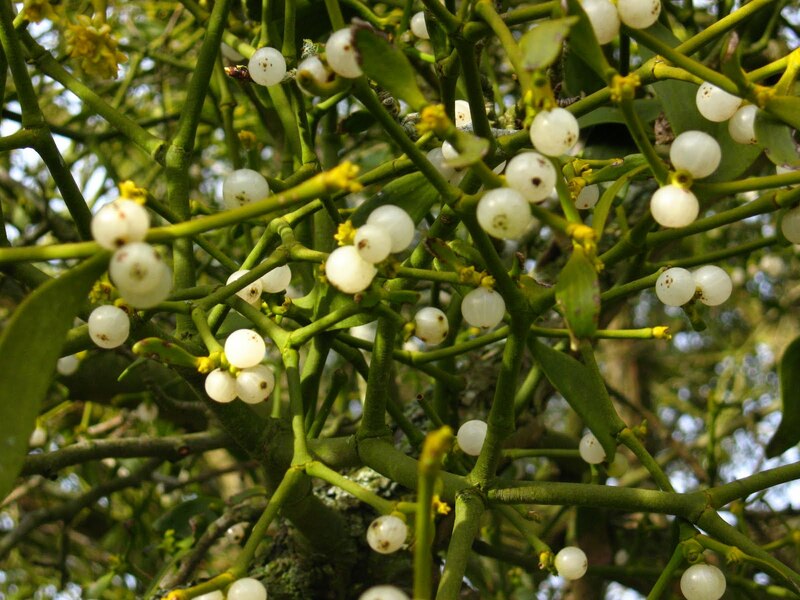 Mistletoe can severely damage or even kill their hosts if the infection is intense enough. The connection to Christmas is fairly recent, thought to have begun in the 18th century, and has evolved from a symbol that protected the home from fire to the more amorous excuse to kiss a pretty girl who happens to walk under it. 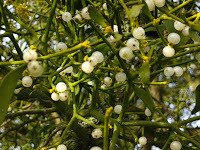 This species, with its white berries, is more popular in Europe (and in plastic varieties everywhere); other mistletoe species (all also parasites) are used in other parts of the world. i never understood the point of kissing under mistletoe. what is so special about kissing under it?